LUXFER IS THE WORLD'S LARGEST MANUFACTURER OF ALUMINIUM AND COMPOSIT HIGH-PRESSURE GAS CYLINDERS FOR GAS STORAGE. 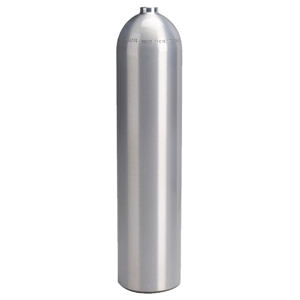 FLAT-BOTTOMED 5.74 LTR ALUMINIUM CYLINDER WITH BRUSHED FINISH. Cylinder supplied bare (valve not included).